The Reading Conference provides a critical opportunity for your Year 5 readers to demonstrate what they are doing as they engage with their personal book collection and for you to notice and respond with on-the-spot teaching, feedback and goal setting. 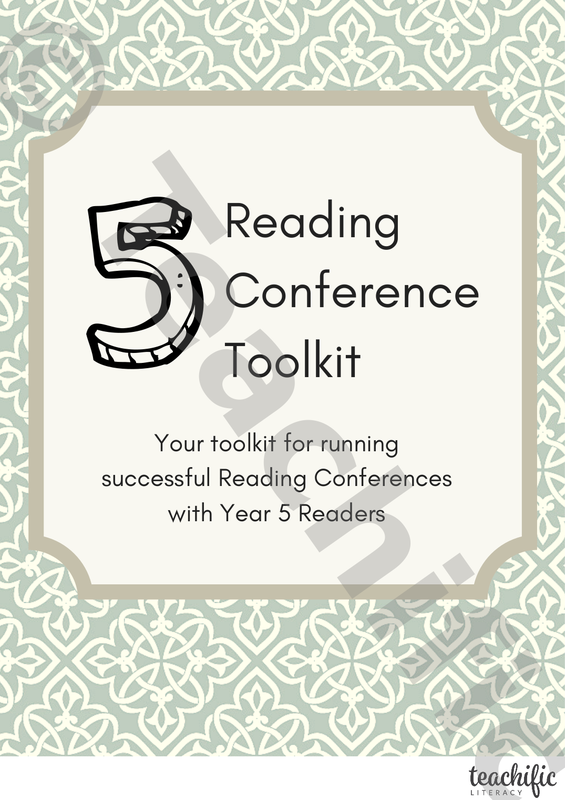 Reading Conference Toolkit - Year 5 contains all the tools you need to run successful Reading Conferences with your students. Four-step Reading Conference routine checking in on students’ current reading goal, sampling their oral reading and comprehension and setting the new reading goal. Individual student Reading Record sheet to notice and note the effectiveness of each student’s reading strategy use: word solving, monitoring and correcting, fluency, vocabulary, comprehension, opinion, reading goal. 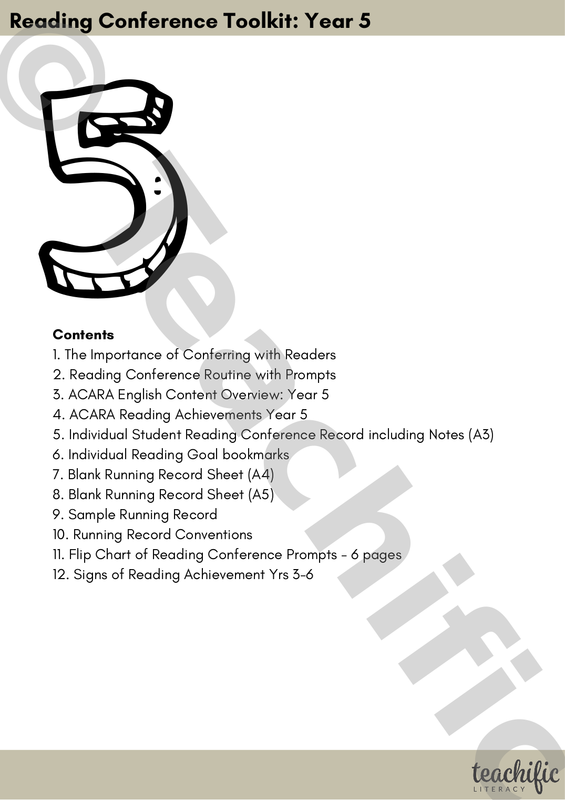 ACARA Year 5 Reading Achievements: A checklist to guide your observations and record keeping during the conference. Reading goal bookmark: a simple tool to enable personalised reading goals to be recorded as a prompt for application during independent reading. Running Record Tools: Blank Running Record sheet, sample Running Record and Running Record conventions. Running Records provide a powerful insight into a reader’s behaviours and strategy use as they are reading. Flip Chart: Reading Conference prompts. 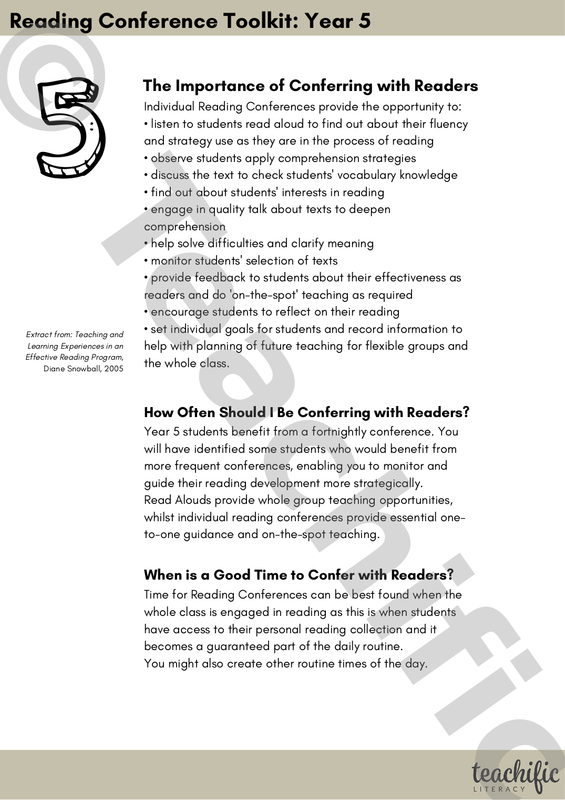 This 6-page flip chart supports you with possible prompts for each stage of the reading conference. Signs of Reading Achievement Yrs 3-6: a comprehensive checklist of later primary reading behaviours to teach and support.